From the Cumberland Gap to the Atlantic Ocean, this is Virginia Water Radio for the week of September 15, 2014. This week, we start with a series of voices touching on aspects of perhaps the most complicated water-related issue on our watery globe. Have a listen for about 35 seconds. Climate measurements, changes, and influences are the subjects not only of the excerpts you heard from the National Weather Service, a scientist in a 2011 U.S. Fish and Wildlife Service video, and a 2014 video by two children in Blacksburg, Virginia. Climate change is also the focus of proposed regulations by the U.S. EPA, international treaties, worldwide scientific investigation, and often-contentious debates by citizens and governments everywhere. Driving this attention are scientific studies indicating that average global temperatures and atmospheric carbon dioxide levels have been increasing at unprecedentedly fast rates. Many scientific analyses also indicate that these increases are probably due in a significant part to human activities, especially the burning of fossil fuels releasing carbon dioxide and other “greenhouse gases,” and landscape changes that contribute to atmospheric carbon levels. The potential impacts are widespread, complicated, and not precisely predictable. Some of the key concerns are changing ocean temperatures and sea levels; changing weather patterns; changing water chemistry; and changing influences on plant and animal metabolism and life cycles. The kinds and extent of changes will vary from place to place, depending on a range of factors and on what’s IN a place. As an example, consider how climate changes are likely to affect two National Park Service units in Virginia—Assateague Island National Seashore and Shenandoah National Park. On Assateague, stretching 37 miles along the coasts of Virginia and Maryland, increases in sea level, temperature, and precipitation are expected to accelerate natural coastal processes that shape and move the island. Meanwhile, over 200 miles inland in Shenandoah National Park, the Park Service expects increased periods of high temperature and drought and more frequent heavy rains. Already, Park officials have seen changes in the life-cycle timing of organisms, known as phenology; and in the suitability of habitat for Park species, including rare species like the Shenandoah Salamander. Assateague Island National Seashore, April 5, 2012. Photo by Katherina Gieder, used with permission. NOAA Weather Radio, Blacksburg National Weather Service Forecast Office broadcast of September 5, 2014. “Climate Change: Wildlife and Wildlands,” 13 min./16 sec. video produced in 2011 by the U.S. Fish and Wildlife Service, online at http://digitalmedia.fws.gov/cdm/singleitem/collection/video/id/1782/rec/37; the speaker in the excerpt was Alan Cohn, at the time with the U.S. EPA. “Communities Taking Action,” a June 2014 video by Blacksburg children Mia and Ava Lazar, done for a national contest called Restore My Climate (http://restoremyclimate.org) by Citizens’ Climate Lobby (http://citizensclimatelobby.org/); video available online at http://restoremyclimate.com/2014/06/congratulations-2nd-place-winner/. Used with permission. “Basic Principles of Climate Science,” 1 hr./21 min. video presented by Christopher Horsch, U.S. Fish and Wildlife Service in February 2010, available online http://digitalmedia.fws.gov/cdm/singleitem/collection/video/id/1778/rec/70. “Carbon and Communities—Linking Carbon Science with Public Policy and Resource Management in the Northeastern United States” (2011), by T.J. Fahey et al., Hubbard Brook Research Foundation Science Links Publication (Vol. 1, No. 4), Hanover, New Hampshire. 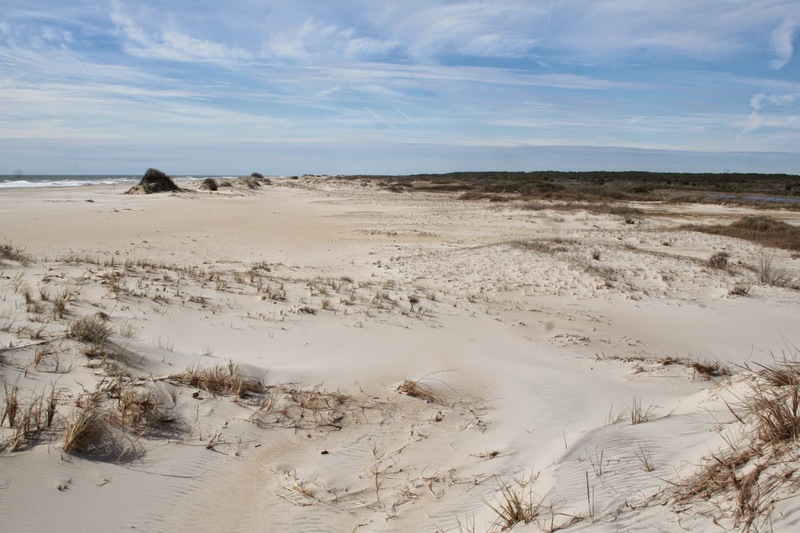 National Park Service (NPS), “Changing Landscapes on Assateague Island,” online at http://www.nps.gov/stories/assateaguelandscape.htm. NPS, “Climate Change and Your National Parks/Effects in Parks,” online at http://www.nps.gov/subjects/climatechange/effectsinparks.htm. NPS, “Climate Change in Shenandoah National Park” (3 min./15 sec. video), online at http://www.nps.gov/shen/photosmultimedia/climate-change-in-shenandoah-national-park.htm. NPS, “Understanding the Science of Climate Change—Talking Points—Impacts to Eastern Woodlands and Forests” (2011), online at http://nature.nps.gov/climatechange/docs/EasternWoodlandsTP.pdf. A Natural History Guide to Great Smoky Mountains National Park (pages 236-239) (2008), by Donald W. Linzey, University of Tennessee Press, Knoxville, Tenn.
U.S. EPA, “Carbon Regulatory Actions,” online at http://www2.epa.gov/carbon-pollution-standards/regulatory-actions, on the EPA regulations proposed in 2013 and 2014 for reducing emissions of greenhouse gases from existing, modified, and new electricity-generating plants. For selected news, events, and resources relevant to climate change in Virginia, please visit “Climate Change” category in the Virginia Water Central News Grouper, available online at http://vawatercentralnewsgrouper.wordpress.com/category/climate-change/. U.S. EPA, “A Student’s Guide to Global Climate Change—References,” online at http://www.epa.gov/climatestudents/references.html.